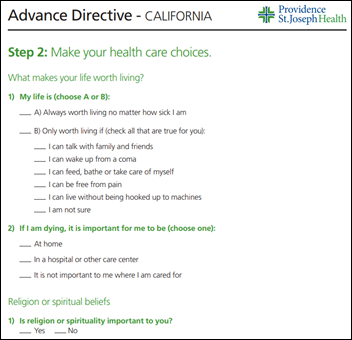 Providence St. Joseph Health publishes a state-specific online advance directive toolkit and customizes its EHR to store the advance directives of its patients. 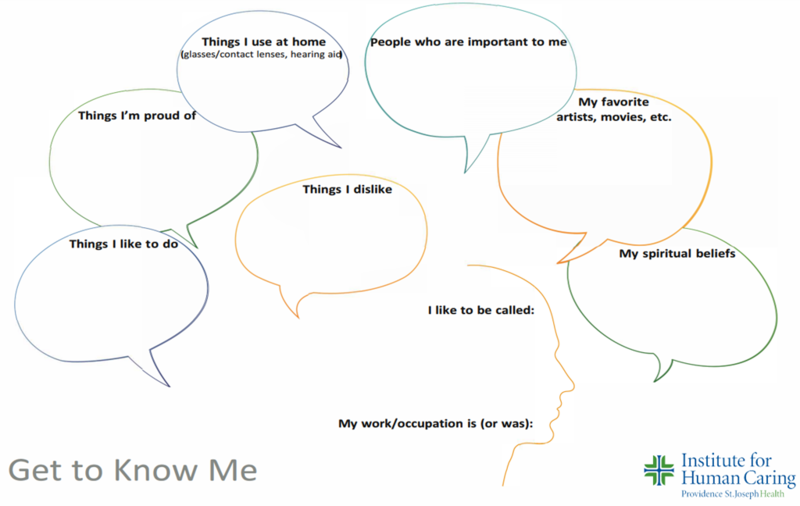 Patient wishes will be displayed via the EHR — along with goals-of-care conversations — to clinicians. The EHR will also send an alert to the physician if treatments are ordered that conflict with the patient’s desires. 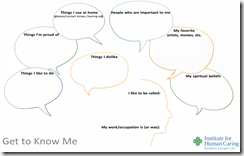 Clinicians will also prescribe videos and other resources to help patients understand their end-of-life options in a partnership with the non-profit foundation ACP Decisions. The 20 members of the IHC team include technical experts Matthew Gonzales, MD (CMIO), Shahrooz Govahi (data scientist), and Paul Park (senior clinical data analyst). From Closed Doors: “Re: [vendor CEO’s name omitted]. Making headlines for attacking his former wife.” Sorry, but this isn’t news despite the reporting tabloid’s eagerness to pass it off as such and lazy parroting of the irrelevant story by other publications. The rag dug up divorce custody documents that are more than 10 years old and pressed the former couple for comments, both of whom admirably said they regret the way their divorce unfolded. Family stuff that has nothing to do with business should be off limits even if you are a public figure. Staying solvent as a newspaper or news site apparently means dumbing down content to the time-wasting drivel that Americans are anxious to read on their phones while sitting on the toilet, which is exactly where this story belongs. At some point your conscience needs to kick in, thus I won’t be part of it. From Spurious Emission: “Re: poll. You didn’t offer your reaction to Zane Burke’s claim that the DoD report was competitor-instigated ‘fake news.’” I thought it was one of the stupidest things he could have blurted out on the record. It made the company look belligerently whiny instead of humbly grateful after winning a no-bid, $10 billion government contract. It also invites unflattering comparisons to thin-skinned others who define “fake news” as anything they wish had been kept secret. That plus suing a customer / prospect for voting to replace Cerner with Epic recalls the low points of the increasingly desperate Tullman regime at Allscripts before it was overthrown. I assume Burke was passed over in favor of his new, oddly experienced boss Brent Shafer, which might be a friction point for both sides that would encourage treading cautiously. From Gene Parmesan: “Re: Cerner. We all assume the unnamed competitor was Epic that Zane was bitching about, but what if it was CliniComp, which sues everybody in sight for threatening its federal government revenue stream?” That’s an interesting thought. I don’t know if CliniComp has enough DoD juice to have had some influence over the MHS Genesis pilot project report. Anyone want to weigh in, or for that matter, to speculate on what the heck Zane was talking about? Please sign up again if you’ve stopped getting your HIStalk email updates, which long-time readers report several to me times each week. I’ve noticed that quite a few emails have been suddenly been bouncing back as undeliverable. 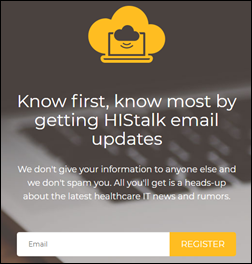 Rejecting the emails in significant numbers are the mail servers of Allscripts, Athenahealth, the former Carefusion, the former Carolinas Healthcare, Cerner, Epic, HIMSS, Medhost, Medicity, Meditech, and Nuance. There’s no downside to entering your email again if you aren’t sure – you won’t get multiple copies regardless. Here’s a post-holiday reminder to consider contributing your thoughts to this week’s “Wish I’d known” question. Maybe Zane Burke will chime in. I needed a distraction from my unsatisfying health system IT leadership job and decided that jotting down my industry thoughts each day would keep me sharp as I scouted for something better. I finally found that job in mid-2005, after which I decided that I should stop screwing around with HIStalk after two years (and no benefit beyond my own satisfaction) and focus instead on staying employed, which I reconsidered when I realized I had nothing else going on after work anyway. I’m still here as a case study of the “80 percent of success is showing up” model. If you’ve been a reader since 2003, tell me how you found the site and why you’ve spent a significant chunk of your life with me. 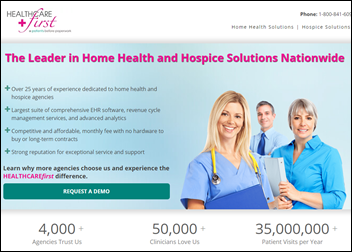 Home monitoring technology vendor ResMed will acquire HealthcareFirst. New Zealand-based Orion Health is discussing the sale of all or part of the company with unnamed parties, reports suggest. Adventist Health chooses HCTec to provide Cerner and Epic application managed services for its Oregon hospitals. The Medical Center of Southeast Texas (TX) chooses Ascom’s nurse call, smartphones, mobile handsets, and Unite software. Pharmacy management and software vendor PharmaPoint hires Bobby Middleton (McKesson) as VP of product operations. Benton Barney (Wolters Kluwer Health) joins prescribing decision support vendor RxRevu as SVP of strategic partnerships. Shaun Priest (Streamline Health) joins Clearwave as chief revenue officer. Michael Brozino (7th Wave Ventures) joins IScript as CEO. In Canada, South Okanagan General Hospital goes live with DrFirst’s MedHx electronic patient medication history service, integrated with Meditech and British Columbia’s prescription network. Duke University researchers use artificial intelligence to analyze keystrokes to determine whether a computer user’s slow mouse scrolling and errant clicks might suggest early symptoms of Parkinson’s disease. 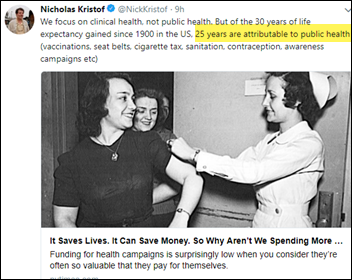 The New York Times questions why the US spends so little on public health efforts that often pay for themselves given the massive amount spent on healthcare services, concluding that: (a) companies can’t make money from it; (b) the government focuses on projects that offer more immediate benefits; and (c) people resent being told what to do even when it’s in their best interest. 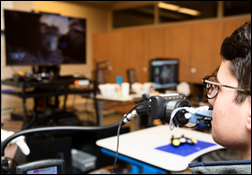 Craig Hospital (CO) describes its occupational therapy department’s use of adaptive gaming in the rehabilitation programs of patients with brain and spinal cord injuries. The hospital modified game controllers, undertook trials of commercially available adaptive controllers, and used the accessibility features of games – including sip-and-puff devices, voice controllers, and modified buttons – to help patients increase strength, balance, dexterity, and endurance. AI did a better job than dermatologists in distinguishing malignant melanomas from benign ones, researchers find. The New York Times says health policy experts are insisting that taxpayers are paying twice for expensive new drugs – once in funding the drug’s development (via NIH grants) and then again when the drug hits the market at prices of up to hundreds of thousands of dollars. NIH did most of the work to develop the cervical cancer vaccine Gardasil and then licensed it to Merck, which sold more than $2 billion worth last year alone. DrFirst is exhibiting at MUSE this week. Meditech announces that its Physician and CIO Forum will be held October 17-18 in Foxborough, MA. Aprima will exhibit at the Association Professional Sleep Societies Annual Meeting June 4-6 in Baltimore. Bernoulli Health, Burwood Group, and Centrak will exhibit at the AAMI 2018 Conference & Expo June 1-4 in Long Beach, CA. Carevive will present and exhibit at the ASCO Annual Meeting June 1-5 in Chicago. I wonder if the email bounce backs from “Allscripts, Athenahealth, the former Carefusion, the former Carolinas Healthcare, Cerner, Epic, HIMSS, Medhost, Medicity, Meditech, and Nuance” is due to employee turnover, email filters, or both. Some of the bounced emails are from addresses I know are still good. I ran one of my emails through a spam checker and it passed fine, but it really depends on how aggressively a company sets its filters (how many images, how many links, etc.) It probably doesn’t help that the email service I use and love has servers in Lithuania, of all places, so I’m going to test a US-based one even though I won’t love switching. Another reader wondered whether companies are ratcheting down their mailerservers to avoid running into GDPR-related problems, which seems possible. I like to think they banned me. I’m sure they didn’t, but at least it makes me feel better about my emails not getting through. The JB article smacks of Elliott Management engaging in an attempted smear campaign to discredit him. The timing is just way too convenient and there’s no real reason to have dredged this back up. While the timing is undoubtedly motivated by the unsolicited offer, there is a widely-held view that the company has been run for years like a boys club and that senior women have often been disadvantaged there. The problem with this information coming out now is that it’s 10 years too late. I had a front-row seat to the mistreatment of women and boys’-club there, and this feels sleazy even to me. Can’t recall when I discovered your site, but I’ve been following for most of your 15 years. I check it every day, have included links to it as a valuable resource on group webpages, listen in on webinars from time to time, and at least once a week I pass along something I’ve read to my peers and/or management. It’s consistently valuable and – just as important – the no BS style is entertaining. Thank you, and Happy 15th. To quote the above — I think this is actually good advice for anyone, at any point in their career: “I needed a distraction from my unsatisfying health system IT leadership job and decided that jotting down my industry thoughts each day would keep me sharp as I scouted for something better…” Keeping current on industry trends is smart, and I think writing thoughts/trends down in your own words (versus just reading (skimming!) industry news), if even just a couple sentences a day, or even per week, is a good way to stay current. I just quickly googled seven (7) various size HIT companies to look at their leadership teams. Across these seven well known companies, there are 55 executives. 42 are white men, 13 are women (23%), two (2) are people of color (4%). US as a whole per Kaiser Family Foundation in 2016: 163M (51%) Women and 157M Men (49%). Meanwhile, we continue to scratch our heads at solving healthcare’s most perplexing problems. Are there really so few women or people of color who making newsworthy HIT career moves? I think I hear about of many or most of the C-level industry moves, so I assume I’m capturing most of them using a variety of sources — readers or PR people who email me directly, press releases, “people on the move” sections of local business papers, and by checking LinkedIn several times each week for movements among my 2,800 connections. I list them all as long as it’s a C-level new job that has health IT industry relevance and that involve someone that readers are likely to have run across over the years. Therefore, I conclude that your analysis is probably right — if 3/4 of health IT company executives are male and most of the job changes involve males, the percentage of female executives may not be increasing much, which isn’t a reporting problem. It might be fun (but a lot of work) to go back through all of my “People” announcements from the past several months and calculate the male/female percentages since I’ve already done the work of sifting out the most significant hires and promotions. I’m not sure I would want to try to infer race, national origin, etc. going strictly by a headshot and name, so I would steer clear of that. Still, all that gives you is a snapshot trend, where the actual executive team roster measures the outcome. While I recognize that my research is not rigorous by any standards, it could certainly paint a picture. Let me know if you’d like to collaborate. Failing that, I can continue to build my spreadsheet of every HIT company leadership page that I peruse to create my Jerry McGuire-style not-a-memo-a-mission-statement when I finally bust loose from this industry. What is NIH getting in return for licensing the basic science for new drugs to these pharma companies? Seems to me that if we adjust those agreements slightly to include royalties to NIH if the drug is successful, it becomes a win for taxpayers who then get money back on that investment for additional health projects. If we tier the royalties back to NIH based on the price of the drug, we could create market incentive to keep the market price lower (Drug = $50,000 means NIH royalty = 3% vs Drug = $250,000 means NIH royalty = 18%). Why is it that every time IBM announces another quarterly loss (is this the 25th or 26th consecutive quarter?) that the people who have been busting their tails for years are the ones who unceremoniously get let go while the people in “leadership” continue to collect their massive salaries and are pretty much immune to any excision-related actions. I believe a fish stinks from the head down so…..accountability anyone? The only resources not affected at IBM Cleveland are the executives that ran the company into the ground. IBM buys a bunch of healthcare companies and then brings in people to run them that haven’t been in a hospital since they day they were born. I’ve met Ginni and Deb personally. I am not surprised it’s come to this. See Vox-Propublica story on IBM’s purge of thousands of workers with one thing in common. You are an enigma to me – in a good way! You don’t hesitate to post a story about child pornographer attending a a workgroup meeting but also offer a defense of him working as long as it is not in a public role but behind the scenes. I was not familar with the story of a CEO of a company that surfaced in the last several days until your brief mention. You have chosen not provide this story any space, even though this person is in a public role, not behind the scenes. While the events of this story are old (Not quite as old as your blog – congratulations! ), there is still some relevance here. If this information was available at the time of occurence, would you have run the story? Would your defense be the same – that this is a private, family matter? If these same events occured in 2018, I guarantee the media and social response would be different. Maybe the thing to do with this story is apply the standards of journalism as to when the events occured – how was repeated spousal abuse treated in the media in 2005? I have enjoyed reading your blog over the last .75 score – keep up the great job. The two items are very different. The person was charged with a repugnant crime, admitted it, and served prison time. He was released and then returned to working for his previous organization. I didn’t report his return as news — I responded to a reader’s stated ethical dilemma of how he/she felt about that. The person was not charged with a crime. The domestic event occurred 12 years ago and both parties say they regret their behaviors. 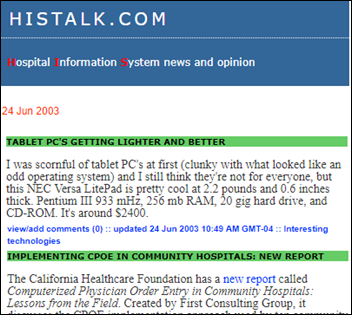 If there ever was any news value, it was 12 years ago, not now. I didn’t see any reports then. It’s a reasonable question as to why it suddenly surfaced just as his company is under attack from corporate raiders. It’s a good question whether I would report Case 2 if it had just happened. I would if legal charges were filed, but I’m not sure otherwise since that’s more celebrity gossip than business news. Zane: HISsie 2018 nomination + a lock on “Biggest Sore Winner” in a one horse race.